Michael L Brea was born in New York City. His parents Marcel and Yanick Brea, who was born and raised in Haiti decided to raise their children in America. 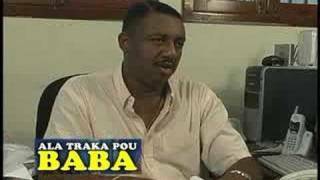 Growing up in a haitian household Michael L Brea adopted the haitian culture. This is one of the reasons why he decided to get into film. "Growing up, my father used to tell me these great stories about Haiti and how we gained our independence in 1804. I am fascinated and proud to be Haitian-American. Which is the reason why I made it into film! I want my fellow American brothers and sisters to know the history of Haiti. I want to report the history of both worlds (Haiti and America) through film." In 2007, Michael L Brea opened a "Subway" restaurant located at 1709 Broadway Brooklyn N.Y 11207. His objective was to provide a healthier choice and to contribute to the development of urban communities. Giving out over 300 turkey footlong sandwiches on Thanksgiving of 2008, was an act no other subway has ever done! "I remember growing up," Michael says, "and my mother was always feeding people who were less fortunate. My parents raised me to always share and to give charity in the name of GOD!" Running a business, being a student at Baruch College, and being into fashion, Michael had to make time for film. In the summer of 2008 he ventured out of fashion and into film. Michael L Brea has gone from modeling clothes for top designers to advertising for Coca- Cola's new line of energy drinks, Full throttle. Michael has recently worked on films like Step up 3d and Ugly Betty (television;season 4) and is on his way to making a name for himself in Hollywood. Let us support our young and positive leaders who are trying to make a difference in this world.